For the past thirty years, A.B. Richards has enjoyed serving the great state of Pennsylvania with all of their storage container rental and leasing needs such as assisting small retail businesses with portable storage space, offering larger storage solutions to contractors and industrial workers, or even helping the local community by providing residential portable storage containers for home renovations. A.B. 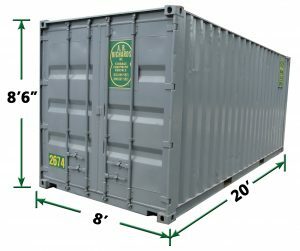 Richards has always spread the “brotherly love” by offering affordable storage container rentals in PA. Fill out the form or call us at (800) 597-5971 to get a free quote for any storage container needs you have in PA! A.B. Richards serves many areas of the state of Pennsylvania. If you are located in The Keystone State and are thinking about renting or leasing a storage container, then A.B. Richards is definitely the best choice. A.B. 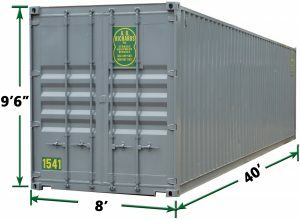 Richards has three different storage containers to choose from; a 20ft storage container normally used in residential and small business applications, a 40ft storage container used in mostly warehouse and manufacturing storage and also a 40ft jumbo storage container ideal for contractors and larger on-site storage. A.B. Richards also has a dedicated sales team that will help you select the correct storage container for your current situation. Also, all of the storage containers are delivered and picked up directly to your business or residential location making it easy and convenient! 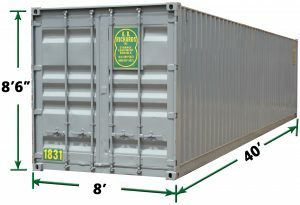 For more information about our storage container rental in Pennsylvania, contact A.B. Richards today!